One of the more interesting sensors to be seen recently is the MEMS accelerometer. 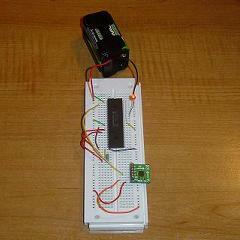 This tutorial write-up shows an example of how to take data from an ADXL320 2-axis sensor. Give it a look through! I have seen the effect of the accelerometer. Great article.